Pineapple cobbler made in an iron skillet is a favorite at my house. 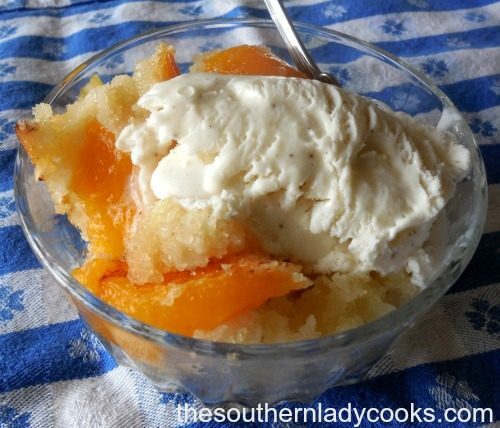 If your family likes cobbler you will love this recipe. This has just the perfect amount of pineapple, cherries and coconut to make for a great dessert with whipped cream or ice cream. I really like it with coffee and I don’t even need a topping of any kind on mine. This will not last long because you will keep coming back for more! You might also like our recipe for blackberry peach dump cake. 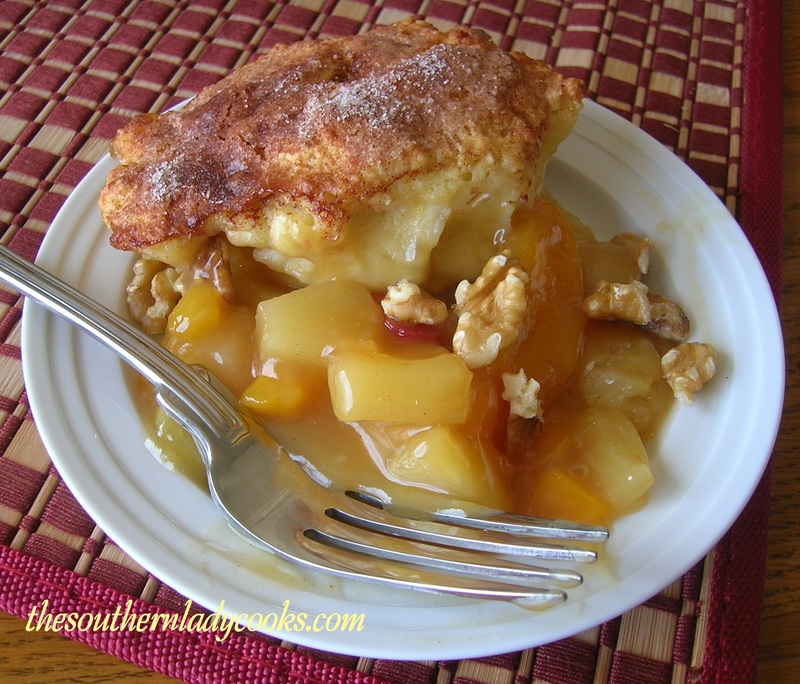 Iron skillet pineapple cobbler is a delicious dessert. Spray a 10 inch iron skillet with cooking spray. Add the butter to the skillet and melt in the oven. In a bowl whisk together the flour, baking powder, salt and sugar. Add the milk, pineapple juice and vanilla extract to the flour mixture and stir to combine. Pour into skillet with melted butter and mix with a spoon. Sprinkle on coconut flakes, pineapple chunks, cherries and nuts. Bake in preheated 350 degree oven 35-40 minutes. Can brown top under broiler for a few minutes if you want it browned. Makes 6 to 8 servings. Enjoy! Note: You could also make this in a 9 x 13 baking dish. This iron skillet pineapple cobbler is super easy and delicious! You can also make this in a 9X13 dish. Your family will love this one! Pour into skillet with melted butter and mix with a spoon. Sprinkle on coconut flakes, pineapple chunks, cherries and nuts. Bake in preheated 350 degree oven 35-40 minutes. Can brown top under broiler for a few minutes if you want it browned. Makes 6 to 8 servings. You could also make this in a 9 x 13 baking dish. Feel free to “share” with your friends by clicking on the Facebook, Pinterest or Twitter buttons below. You can print by clicking on the printer icon below. Love this recipe – what can you use besides an iron skillet? Any baking dish that you have, about 2 or 3 quart dish or a 9×13. Can this be made without coconut? I always add the coconut but see no reason why you couldn’t leave it out, Karen. Being from Kentucky myself, I found your web site and couldn’t stop reading. I can relate to most of the sayings, it was such a blessing to read. Country folk are a special breed of their own. Keep blogging. God bless you. Welcome, Teresa! So happy to have you on the site and always happy to meet another Kentuckian. Hope you enjoy the recipes and I agree about country folk. Thank you for your great comment and have a wonderful day. This is a new take on an old recipe. I will try it. Looks good.